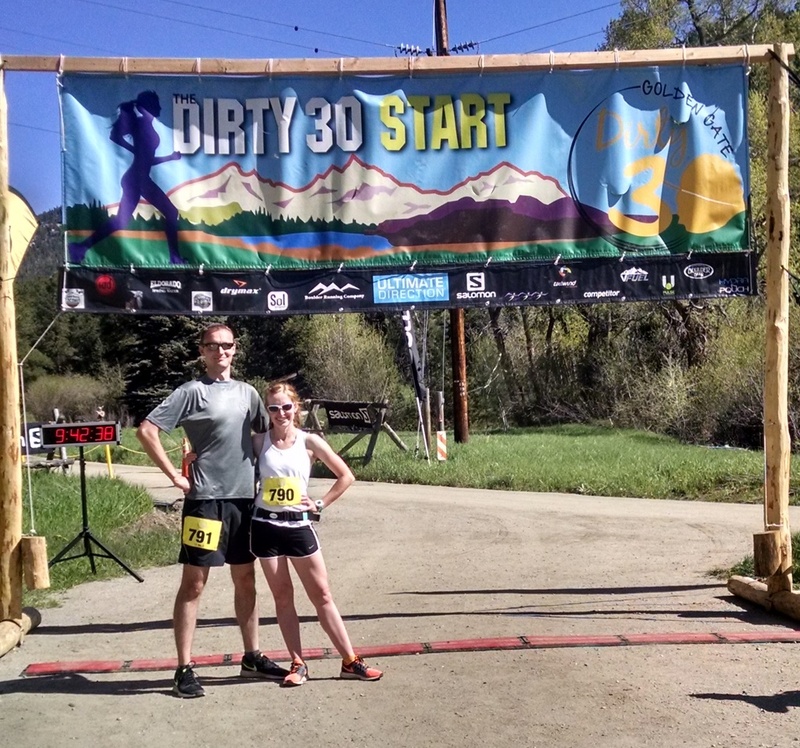 When Noel turned 30, we ran the Dirty 30 race at Golden Gate Canyon State Park. (Just to be clear, we did the 12 mile, not the 50K.) Logically, when I turned 30 we had to do it again. Because my brother-in-law, Joe, also recently turned 30, he and my sister, Hope, also joined us. And because we had three kids that needed watching, my dear mother came out as well to spend some quality time with the grandkids and make the race possible for the four of us. We really wanted to be more prepared for the race this time around. 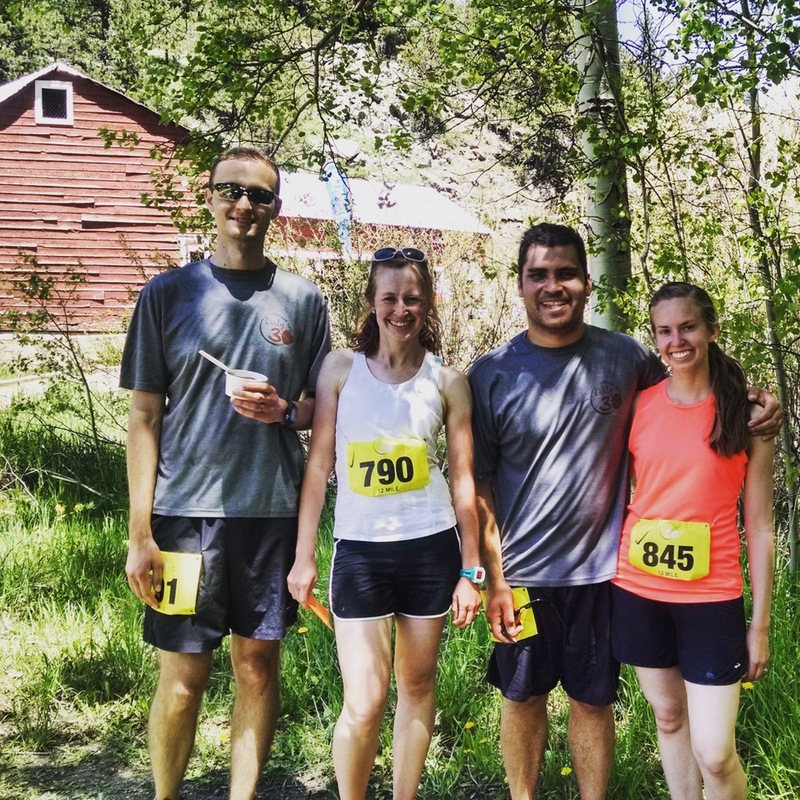 Amazing friends watched our kids so we could go on a handful of Saturday morning “dates” and log some longer trail runs. Honestly, running dates are one of my favorite kind of dates. Still, life got in the way as it sometimes does, but we tried to be the wise, seasoned thirty-somethings that we are and keep our focus on training smarter, not harder. 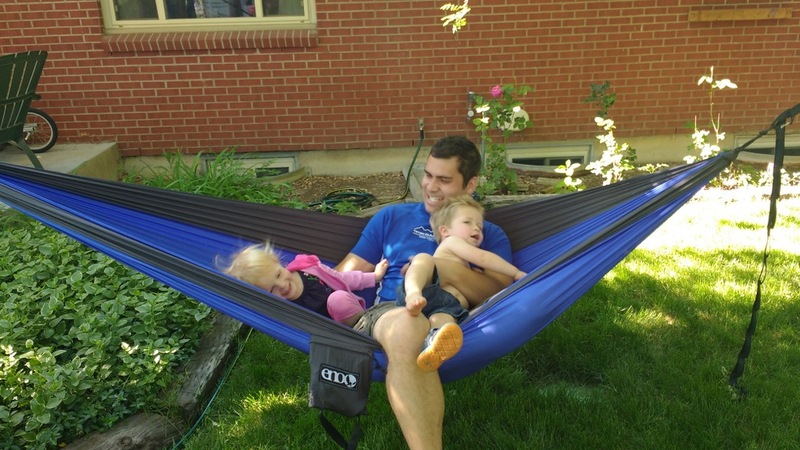 On race day, we hugged the kids and left them with grandma. One of the things that helped take the pressure off was that we had no delusions of winning anything. (Especially not the bloodiest finisher award. We really didn’t want to win that, again.) We started off slow and steady with a tortoise and hare attitude. Even though it was hotter, we definitely ran more this time and up until the last two miles I felt stronger overall. At mile 11 I was out of gas, but Noel pulled me through and we kept up a nice clip to the finish line where we beat our last time by five minutes. (Certainly Noel not falling down the mountain helped shave some time off, but I’d like to think we were also just faster.) Hope and Joe had great finishes – literally, their final sprints were impressive – and we were all ready for a great post race party. At least we thought we were. Half of us didn’t really feel like eating and Noel was busy throwing up in various types of foliage. So, we packed up all our swag (the race really delivered on the swag) and caught a bus back to our car. We enjoyed another day with the Walkers and my mom before they made the long trip back to UT. It was a quick and crazy weekend, but we all proved that we’re as tough as we’ve ever been. Including my mom, who totally dominated on the grandma front. One of our most exciting training runs. The trail was so ambiguous that Noel had to GPS locate us and cross reference a topo map to figure out where we were. Noel and I at the starting line. I was ready to dominate the hula hoop competition, but then Noel was puking and the prize was just a mouse pad so I graciously stepped aside for someone else to win. Cooper pushing Porter in the car. Lots of tender moments between these two. More cousin fun on the slide. Porter and Ellen got along well. Hopefully Ellen didn’t teach him too many tricks . . .
Uncle Joe keeping the kids in line. A great capture. Ellen climbing, Porter looking up to her, Cooper being Buzz, and my Mom capturing it all.